I expected crystals and it's a paste with broken pieces of what looks like hardened pieces of the paste. Very disappointed. Smooth‚ Creamy‚ and Deliciously Sweet! 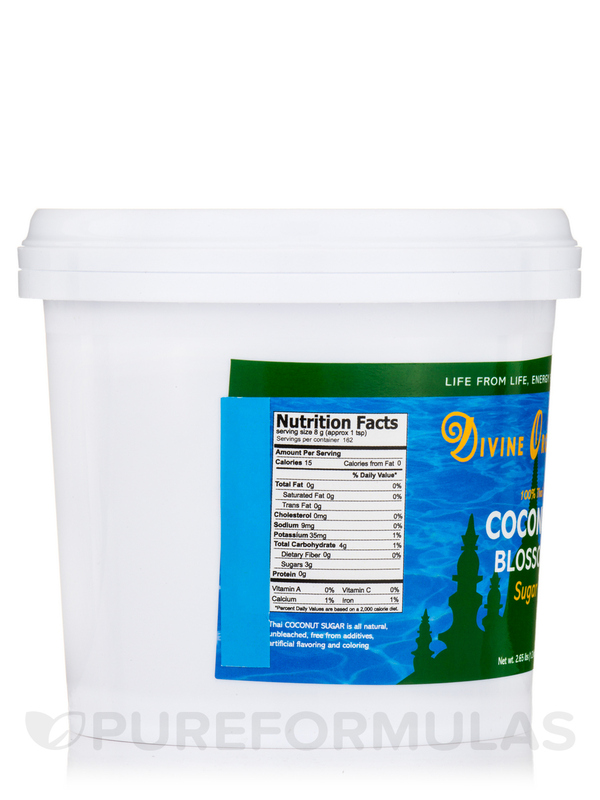 Divine Organics® 100% Pure Organic Thai Coconut Sugar is derived from the fresh sweet nutritious sap of the coconut blossoms. Thickened under controlled heat to avoid overcooking which would affect the nutrients and acidity. 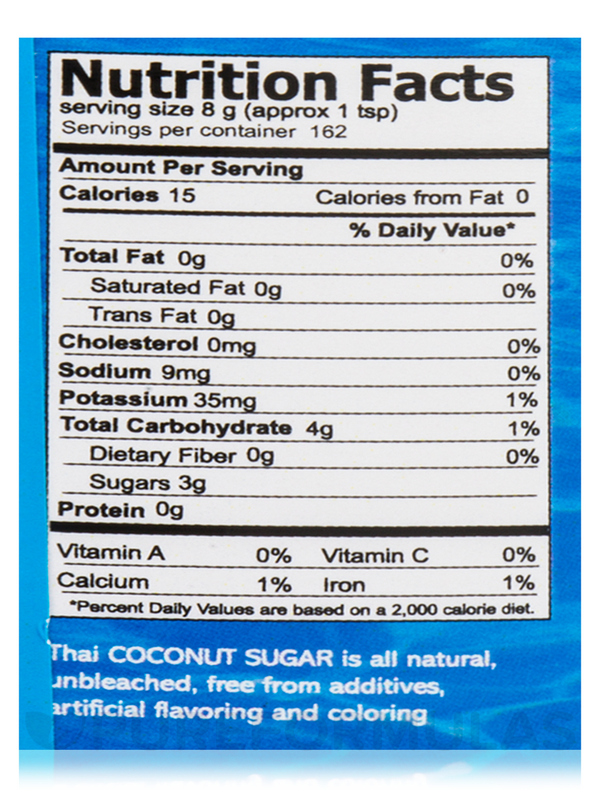 In addition to the listed Nutrition Facts this sugar has a higher nutritional content than other sweeteners; it is high in Magnesium‚ Zinc‚ Iron‚ and Potassium; it is a natural source of Vitamins B1‚ B2‚ B3‚ B6 and Amino Acids (Especially glutamic acid). Due to an extremely low glycemic index of 35‚ it is delicious in desserts‚ smoothies‚ and pastries. A small portion serves as a healthy and energizing treat. 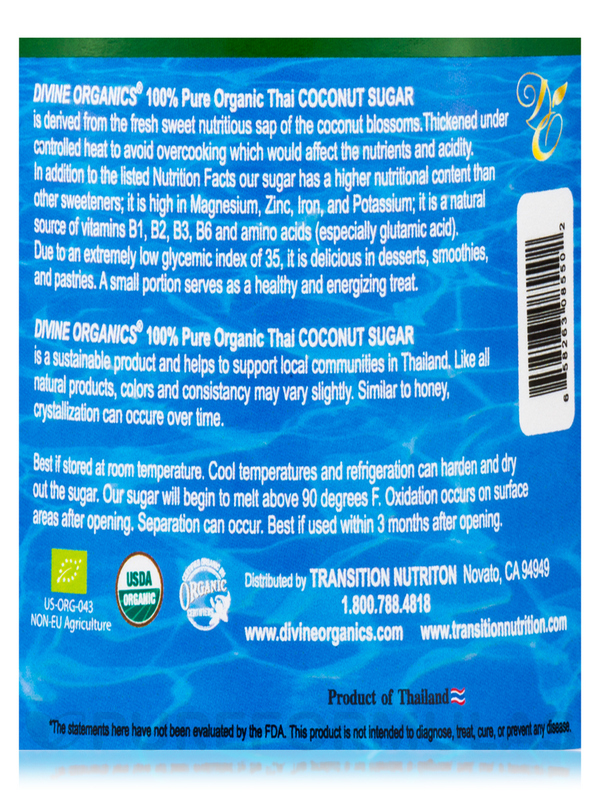 100% Pure Organic Thai Coconut Sugar‚ all natural‚ unbleached‚ free from additives‚ artificial flavoring‚ and coloring. Best if stored at room temperature. Cool temperatures and refrigeration can harden and dry out the sugar. This sugar will begin to melt above 90 degrees F. Oxidation occurs on surface areas after opening. Separation can occur. Best if used within 6 months after opening. 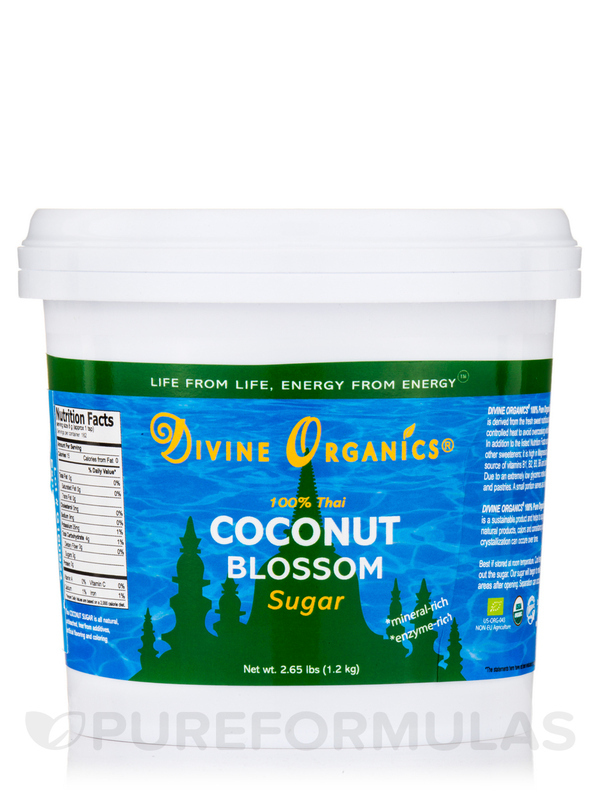 I have used Organic Coconut Sugar by Divine Organics before and I love it! I used this for many cooking ideas. I love the taste. PureFormulas has been superb with speedy, free shipping and the price of the item is the same as everyone else. Good place to shop! 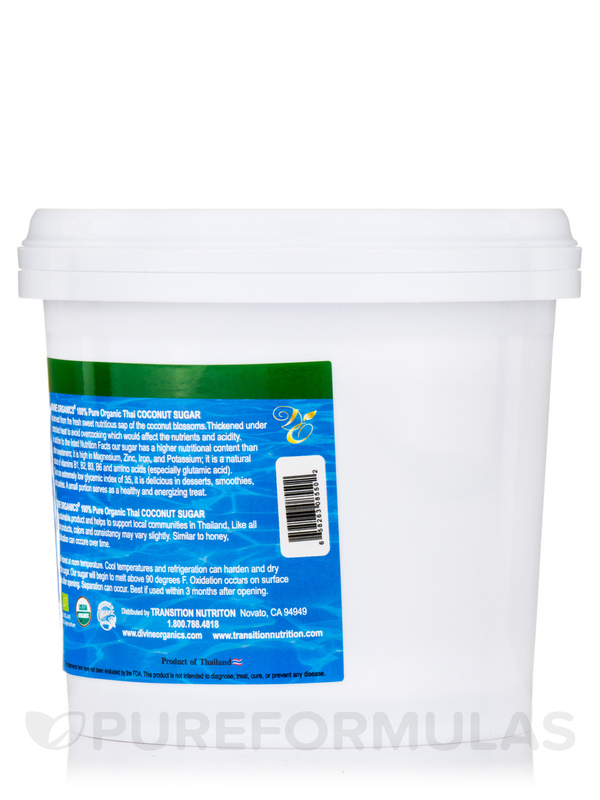 Divine Organics could produce larger container because I use a lot of it. There is a layer of wax on the top that you need to remove carefully. Underneath is a heavenly coconut crystalized sap. 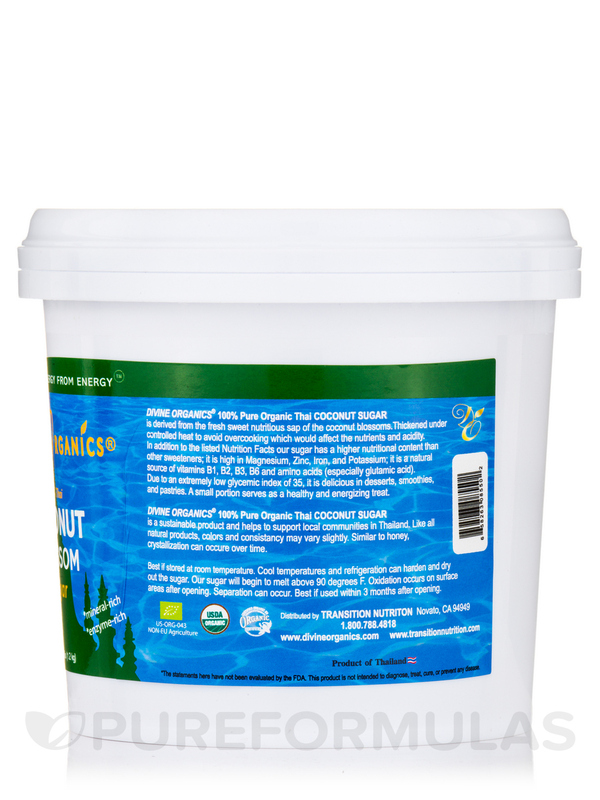 The flavor of Organic Coconut Sugar by Divine Organics is like a tropical exotic maple butter. The texture is gooey and divine. You must be patient removing the wax layer. Well worth it.